One of Pittsburghâ€™s most private & spacious 2-Level penthouse condo in downtown Pittsburgh; experience true luxury @ 121 9th Street (Penthouse #1).Enjoy 4,500 SF of interior living, plus 2,000 SF of exterior entertaining space on 4 private rooftop decks. Every detail meticulously custom crafted to the highest degree of specifications, showcasing rare and exceptional materials and fixtures from around the globe. Signature features:â€¢3BR (2 master suites), 3.5BA â€¢unique custom designed iron & stone floating staircase â€¢Private elevator â€¢800 bottle wine vault â€¢Open concept living area â€¢Floor to ceiling windows â€¢Aruba Granite â€¢JennAir / Miele appliances â€¢ unbelievable 18 x 18 custom master closet room with city views. This penthouse offers some of the most rare & exceptional views from the interior & all 4 decks; enjoy 360 degree VIEWS of Pghâ€™s skyline, rivers, bridges & stadiums. 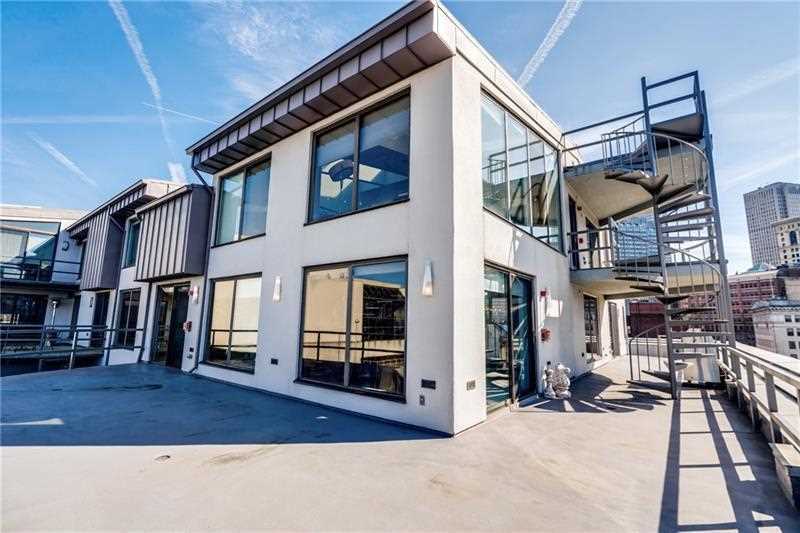 Includes 3 deeded, temperature controlled interior parking spaces in underground garage. Listing provided courtesy of Albert Anthony Real Estate. I was searching for a Property and found this listing (MLS #1385274). I would like to schedule a showing for 121 9th Street Penthouse #1 Pittsburgh, PA 15222. Thank you! I was searching for a Property and found this listing (MLS #1385274). Please send me more information regarding 121 9th Street Penthouse #1 Pittsburgh, PA 15222. Thank you! MLS # 1385274: This property at 121 9th Street Penthouse #1, Pittsburgh, PA 15222 is located in the subdivision and is listed for $2,475,000. MLS # 1385274 has been on the market for 32 days.